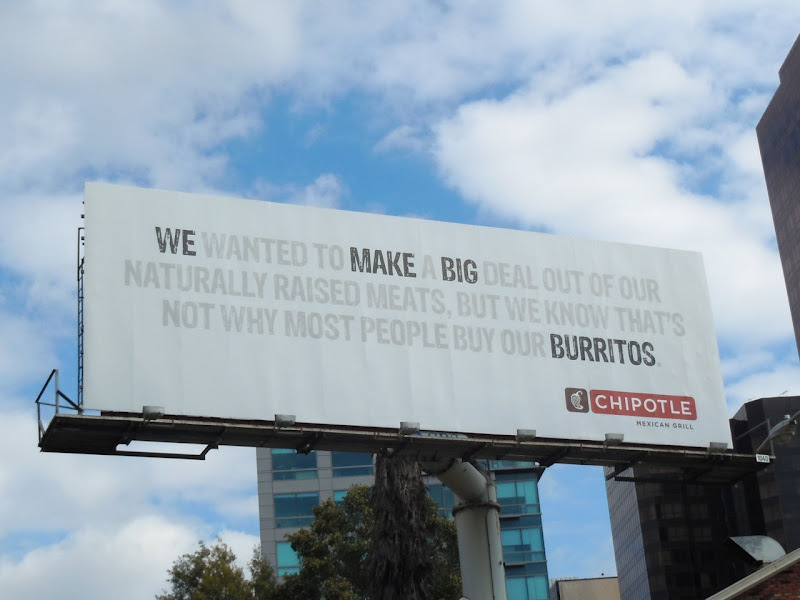 Chipotle Mexican Grill looks like it has another hit billboard on its hands with this fun creative. Daily Billboard has already showcased their clever 'Our Ingredients Are Better' billboard and this execution spelling out that 'We Make Big Burritos' is another winner for the restaurant chain. This simple and effective billboard was photographed at the corner of Sweetzer Avenue and Wilshire Boulevard on October 22, 2010.